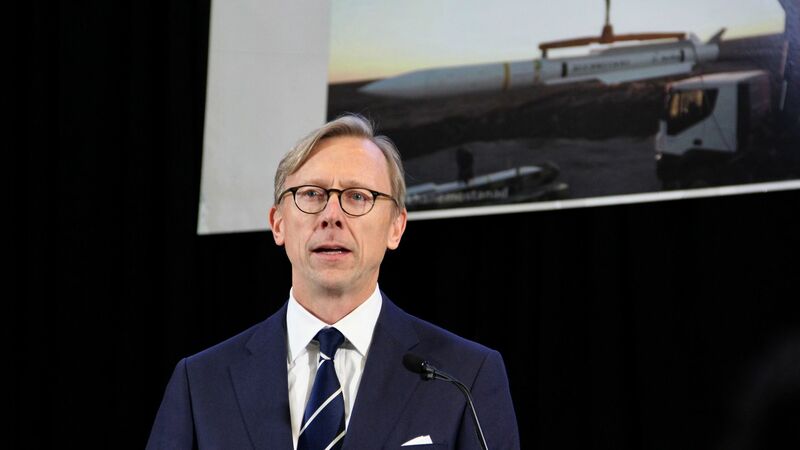 U.S. Special Representative for Iran Brian Hook shed light on Tehran’s latest provision of arms to militants across the Middle East on Thursday, speaking at an Iranian weapons exhibit at Joint Base Anacostia–Bolling. The most recent additions include the Sayyad-2C surface-to-air missile, which was interdicted en route to Yemen’s Houthi rebels, 107 -millimeter rockets that Iran allegedly provided to the Taliban, and drones that were used in Afghanistan. Why it matters: Iran is involved in multiple Middle Eastern conflict zones, many of which have been raging for years and have no end in sight. Tehran’s sustained practice of exporting diverse weapons prevents peace and encourages its partners to continue fighting. The background: Iran’s support of terrorism is both strategic and ideological. Most Middle Eastern battlefields today feature Iranian weapons and proxy forces. Tehran is able to affect the outcome of various conflicts by controlling the spigot of men, money, and, most importantly, munitions. Much of the weapons Iran distributes across the region are not technologically novel. However, they are sufficient to empower local actors so that the Islamic Republic can threaten and coerce its adversaries without risking direct retaliation. The bottom line: For Washington, publicizing Iranian involvement in the Middle East through displays of captured weaponry is part of a larger strategy. The more Iran’s hand is exposed in the region, the theory goes, the harder it will be for foreign governments to remain indifferent to Iran’s ongoing malign activity.